It’s no secret nuts are good for you. They’re a good source of protein and fiber, and full of “good” fats, yet contain no cholesterol. MaraNatha Nut Butters, the makers of organic and natural nut butters, have launched a new promotion to help people save money on that pantry staple we love—peanut butter! It’s the “spread the word, spread the savings” promotion and you can save up to $3 off their products by signing up for their newsletter: offers.maranathafoods.com. You can also enter to win a year’s supply of MaraNatha products and a recipe booklet. My favorite way to eat pretty much any nut butter is straight out of the jar, with a big spoon. I know that’s not a good example for my kids, though, so I also enjoy a spoonful on crackers or a banana. I recently tried MaraNatha products for the first time. I had never tasted almond butter before this, so I have nothing to compare it to – but I’m a convert. It has the distinct almond roastiness, yet a more subtle flavor than peanut butter. And the Dark Chocolate Almond Spread? Delicious. It reminded me of a certain big-name hazelnut spread, but healthier, perhaps? I’d have to compare the nutrition facts on the labels to be sure. A bonus – the almond, cashew, and macadamia nut butters are a good alternative for those that are allergic to peanuts! MaraNatha products can be found at Whole Foods, and maybe even at your local grocery store (like Safeway). You just have to look. You can also shop online at maranathafoods.com. So that you, my readers, can try MaraNatha Nut Butter for yourselves, three of you will receive two coupons each for $5 off any MaraNatha product. Depending on the size of the jar, this could make it free. Almond is more expensive than peanut butter, but oh-so-good! To enter, please visit www.maranathafoods.com and leave a comment telling me what variety you think you’d like, or if you’ve already tried MaraNatha products, tell me what your favorite is. MaraNatha provided me with discount coupons to facilitate this review and giveaway. Contest ends: February 26th, 2010 11:59 pm EST. US entries only. One person per household may enter. Leave a separate comment for each entry & a valid email address. Winners, chosen at random, have 3 days to claim their prize. I’d like this one the most – Dark Chocolate Almond Spread. .-= Barbara M´s last blog ..Boldy Delicious – Kenzoil Review with Giveaway =-. I’m a fan of anything chocolate, so it would be the Dark Chocolate Almond Spread. I had no idea this even existed. I’d love to try the Cashew or Macadamia Butter. I have never tried almond butter before but would love too! And either the dark chocolate almond or dark chocolate peanut spreads would be favorites, I’m sure! Thanks for the giveaway! .-= Heather @ Not a DIY Life´s last blog ..Ten Mostly Interesting Facts about the Bible =-. I’ve only ever tried the almond butter, which I love. We even use it to make a creamy sauce for pasta! I had no idea MaraNatha had so many varieties- can’t wait to try the Dark Chocolate Almond. I’d love to try the Dark Chocolate Almond Spread and the macadamia butter. I would love to try Dark Chocolate Almond Spread. It sounds like a perfect combination to eat from a spoon. I am not familiar with this brand – I think I would try the Honey Almond first. We use peanut butter when making a sauce for chicken and linguini dishes. I love the flavors offered by this brand! My family has tried the Maranatha Almond Butter regular and organic and we love them! However, er’ve never tried any of their other varieties. I think I’d be interested in the Dark Chocolate Almond Spread and the Macadamia Butter. Thanks for the giveaway! I’d love to try the dark chocolate almond butter! I think I would like to try the dark chocolate almond spread/butter. Macademia butter is tops for me! Oooh, I want to try the Dark Chocolate Almond Spread so bad! The creamy Almond butter sounds delicious! .-= Summer D´s last blog ..Finding Free Online Survey Sites =-. .-= Kari C.´s last blog ..Aloha Friday – What Annoys You? =-. I’d have to choose the Cashew Butter! .-= Matt´s last blog ..Thursday Thunks – Thunks by Teens =-. I’d like to try the Dark Chocolate Almond Spread. I’ve never tried this product. But I have a tip for you, next time you run out of jelly, try peanut butter and honey sandwiches. My son LOVES them! 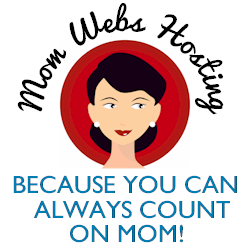 .-= Old School/New School Mom´s last blog ..Can I Help You? =-. I think the Dark Chocolate Peanut Spread sounds awesome! I’d like Natural Cashew Butter (Roasted) 🙂 *Thanks* for the giveaway! We absolutely love Maranatha’s Cashew butter! I love the regular peanut butter and buy it when I’m prepared to splurge. .-= Felice´s last blog ..HMRRC Winter Marathon Relay race report. =-. I would love to try the Macadamia Butter. Ilove Macadamia nuts! I eat their peanut butter all the time, but I would like to try the Natural Cashew Butter (Roasted). I think the macadamia butter would be fun to try! Just about anything with Dark Chocolate does it for me – but the Dark Chocolate Almond has my mouth watering. I’d love to try the Dark Chocolate Peanut Spread. I would love to try the Cashew Butter and see what it’s like. .-= Beth´s last blog ..So, sewing mama =-. I am drooling over the Dark Chocolate Almond Spread. It sounds absolutely delicious. I’ve had a chocolate hazelnut combination before, but never almond! My favorite is their sesame tahini. I think I would love that dark chocolate almond! Great giveaway! I’ve tried and love Maranatha’s Organic No Salt Creamy Almond butter and I would like to give the Cashew butters a try! I’d love to try the Organic Crunchy Almond Butter. The Dark Chocolate Almond looks great! My daughter and I love cashews, so I would go for the cashew butter. I would like to try the regular peanut butter. .-= Teresha@ Marlie and Me´s last blog ..Winners of Mimi & Lola Bibs and BLOOM Pincushion =-. I like the Natural Almond Butter – Honey. I love their peanut butter. it’s so good! Thanks for the giveaway. I would like to try the dark chocolate peanut and the almond!! Thank you for the opportunity! The Dark Chocolate Almond Spread looks so yum. Thanks. Our favorite is the cashew butter. We just finished a jar. I’d like the Almond Butter. I think I would love the Cashew Butter. Dark Chocolate Almond Spread…yum! Thanks! I like the dark chocolate almond spread, but maybe I will try something else. I love all nut butters, but I’d really like to try the almond butter. I’ve had their Almond Butter and I like it. I would love to try the Macadamia Butter and the Dark Chocolate Peanut Spread. Thanks. I would LOVE to try their Cinnamon Vanilla Sunflower Butter! I have heard such great things about it! .-= Jenna Z´s last blog ..Weekly Weigh-in =-. Their cashew butter is so good! Cashew Butter would be my choice! I would love to try the Natural Cashew Butter. I looooooove the almond butter! .-= JeanineE´s last blog ..Long Straight Lines =-. I’d like to try the Natural Almond Butter – Honey. I love their almond butter! It’s so delcious. Thank you! I haven’t tried the nut butters, though the Almond butter sounds great. I do love their roasted Tahini though! I have never seen the combination of Natural Cashew-Macadamia Butter, but that sure sounds good. I think I’d like the try the cashew butter. I think Cashew butter would be my favorite. We’re a maranatha creamy peanut butter kind of family, but that chocolate almond butter snapshot has my stomach growling. I’d love to try it. Dark Chocolate Almond Spread! Dark Chocolate Almond Spread! Dark Chocolate Almond Spread! Wait–did someone mention something about chocolate? I love macadamia nuts but have never tried macadamia butter, so I’d love to try that!! Thanks. I love their almond butter, it has a great roasted rich flavor. But I had no idea they had the Dark Chocolate Almond Spread too! WOW! I will try this for sure. I’m sure the Dark Chocolate Almond Spread would become a staple in this house. Yup. I think I would like Dark Chocolate Almond Spread. Dark chocolate almond – yum! Dark Chocolate Almond Spread sounds awesome! .-= Chrysa ´s last blog ..Save 15% Off One Item at Barnes & Noble =-. .-= Chrysa´s last blog ..Save 15% Off One Item at Barnes & Noble =-. Dark Chocolate Almond Spread is a spread the grandkids would love. I’d like the cashew butter. I would like the Natural Tahini – with Salt (Roasted). I like the no-stir peanut butter. I would like to try the Natural Almond Butter-No Salt (Creamy) version. Thanks!